In this episode, I interview Zach King, a filmmaker and YouTube personality who’s known for creating digital magic. More than 20 million people follow him on Instagram. 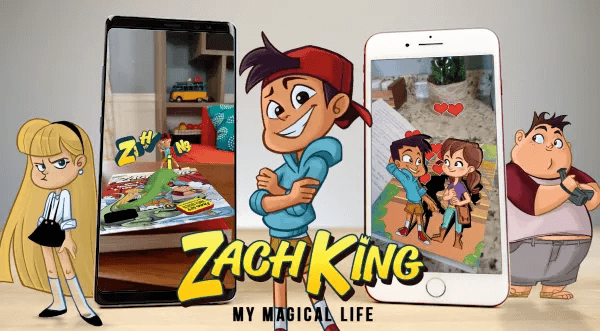 He just released a brand-new children’s book called Zach King: My Magical Life, and has a movie option with Steven Spielberg’s Amblin Entertainment. Zach explains how trying new social platforms like Vine helped him develop his signature style, sponsorships, and audience. You’ll discover how Zach’s responsiveness to his audience led him to try new ideas every step of the way. 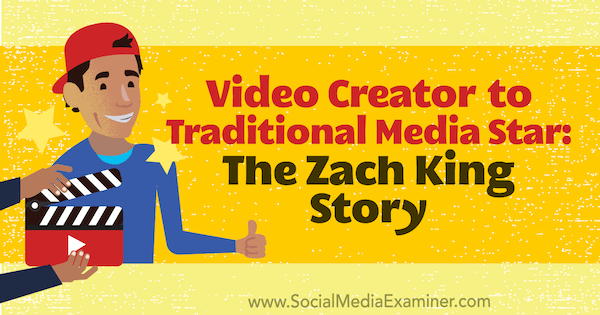 Video Creator to Traditional Media Star: The Zach King Story featuring insights from Zach King on the Social Media Marketing podcast. The first time Zach applied to film school, he didn’t get in. He decided to keep making movies by creating a YouTube channel. While he was figuring out what content to create, his parents encouraged him to do what was comfortable. For Zach, that was teaching people how to create visual effects using Final Cut Pro software. Around early 2008, Zach began teaching Final Cut Pro on YouTube by recording his screen. He slowly gained a following, and at around 30,000 followers, Zach started getting comments from his audience, complimenting his special effects and asking what would happen if he added a story to them. In response to this feedback, Zach created one of his first viral videos, Jedi Kittens. The video, which came out in 2011, is about two cats dueling with light sabers. At that point, Zach had been teaching for several years. It was great because even though around 40,000 YouTube subscribers wasn’t a ton, it was great for business. He posted hundreds of free tutorials and eventually paid off school by upselling 8-hour training courses. Zach started doing this when he was 19 or 20, and he’s almost 28 now. I ask what it was like to have a hit like Jedi Kittens. Zach says he felt this rush of adrenaline, as well as a desire to replicate that success. For a young creator, a million views was awesome (and a lot of views compared to now). However, he realized 10-15 million views were needed to really call a video “viral.” He couldn’t picture what that looked like but continued to experiment with what did or didn’t work, and grew his audience by accident. Zach got his start posting videos on YouTube. Around November 2013, Zach got into Vine and was kicking himself for being 9 months late to the platform. Whenever a new social media platform came up, he’d wait for his friends to get into it before creating content for it because doing so is time-consuming. His housemates logged onto the Vine app several times every day. Zach realized Vine had a special effects category that fit with the tutorials he was creating on YouTube. On Vine, Zach started by posting a few of his tricks and these posts developed into his magic theme. He had about 300,000 followers in the first 2 or 3 months, which was similar to the following on his YouTube channel. As his Vine following quickly surpassed his YouTube following, Zach began to see Vine as a primary way to support his business. Through short videos, Zach developed what he calls his “magic style”: a visual effect with a magic twist at the end. The effects are as visual and physically interesting as possible because that approach works well on a small mobile screen where most of his viewers watch. In one video, called How to Hitchhike, Zach stands on the side of the road, and as a Prius drives by, he runs, jumps, magically flies through the door, and lands in the passenger seat. I remember another video in which Zach jumps through a closet door and leaves his clothes behind. Zach says his visual magic style is a little similar to Charlie Chaplin and Georges Méliès. Filmmakers were doing effects 100 years ago. Zach just modernizes those techniques. When people began bootlegging Zach’s videos (downloading his creations without permission and reposting them), he decided to leave them up. Although the bootlegger sites were monetizing Zach’s videos, he realized leaving his videos up was still better for his personal branding in the long run. These videos, like the one where Zach straps a soda jetpack to his legs and starts flying, got around 100 million views on Facebook. Now, on YouTube, he can monetize the copies. By the time Instagram added the 15-second video feature, Zach had about three million followers on Vine. Initially, he reposted his Vines on Instagram, and the Instagram following grew almost as fast as Vine. Zach also loved the Instagram community. People on Instagram were a lot more positive than the people on Vine. Zach later started creating original content for Instagram, expanding his magic theme to use the full 15 seconds. After a meeting at Instagram headquarters, Zach started creating original videos for the platform. Listen to the show to hear Zach discuss meeting the staff at Instagram headquarters and developing original content for Instagram. Zach had been asked to do several small sponsorship deals on YouTube. However, when he hit between 500,000 and a million followers on Vine, he got emails from brands such as Coca-Cola and Nickelodeon. He realized Vine had a whole different world of sponsorships. The sponsorships allowed him to grow the business, and now account for about 75% of his business today. That said, Zach has to balance meeting his sponsorship commitments with delivering value to his audience. He’s always been concerned about selling out. These days, he’ll do a commercial but geotarget it or broadcast it in only one country. So, he’ll do a sponsorship for Kellogg’s in Germany or Tic-Tacs in Australia, sharing a commercial with his whole audience via Instagram or YouTube only once in while. Listen to the show to hear Zach’s take on how social media audiences view creators’ sponsored content. A couple of years ago, Zach and his wife Rachel were on The Amazing Race for its social media season. Zach and Rachel King participated in the social media season of The Amazing Race. When Phil on TV said, “Teams, fly from here to here,” Zach and Rachel had a 3-day turnaround. They were exhausted, eating airplane food, maybe getting a hotel room or sleeping on a floor somewhere after checking into the map. Some days, they were just roughing it. Each team has one cameraman and one sound person for each leg of the race, and your camera and sound team switches for each leg. Although a rule says you can’t be more than 20 feet ahead of or behind your camera and sound team, Zach says these people are the strongest camera and audio people he’s ever seen. They run hard to get in front of you or go behind you. Some of the stuff they invest their time in doesn’t necessarily translate to more clients or other bigger TV gigs, Zach adds. And some is just branding. It looks good when Zach meets with clients who’ve already watched The Amazing Race and are familiar with his work because of that show. The Amazing Race helped generate awareness of his brand, but personally, the experience was also valuable simply because he and his wife are big fans of the show. I ask Zach if people recognize him in public now that he’s a well-known personality. Zach says yes, but kids are always the ones who approach him. Zach says the age range of his audience is a pretty equal mix from ages 8 to 35 and then a larger demographic that’s older. When kids approach him, Zach often has to explain to the kids’ parents that they likely know him from YouTube, and he enjoys meeting the kids in real life. Listen to the show to hear Zach share how kids logging into their parents’ accounts affect his audience demographics. Growing a team has been one of Zach’s biggest challenges. He’s always loved entrepreneurship and business but can only specialize in so many things. He had to let go of his perfectionism and desire to do everything himself, and he’s learned that that thinking was actually limiting. In the last several years, Zach has learned a lot about delegating and trusting people. He’s had to learn how to train people to edit video using his style and format. He’s also had to recognize others can become just as good, if not better, at this style than he is, if they dedicate the time. Trusting his employees has been a big thing for Zach. Zach hired his first employee (a producer) in 2014, and that employee is still with Zach today. The studio has grown to about 17 people. As the staff has grown, communication has been the most challenging thing for Zach. As a leader, he has to make sure he’s sharing his vision clearly. But also, on a day-to-day basis, Zach needs to know what everyone on his team is doing and clarify their roles if needed. Listen to the show to hear my thoughts on leading the Social Media Examiner team. My Magical Life by Zach King. He wrote the story for a year and found an illustrator. Zach told his agency, CAA, that he was writing a book, and within 2 weeks, major publishers were showing interest. Zach loved the vision of the editors at HarperCollins, and that’s who published the book. Although the book is aimed at readers from third to eighth grade, it can work for younger kids, too. Zach likes that the book is for young kids for several reasons. First, the book introduces younger kids to his magic brand in the same way kids become invested in Disney characters from a very young age. Second, Zach wants kids to read and fall in love with written stories, not just movies. Although it’s great that kids are on social media (and Zach acknowledges that he encourages kids by posting videos), education and reading are really important to him, too. The book is paired with an app that adds augmented reality features to it. Scan the book with your phone and you’ll see the animated characters running around. The 40 illustrations either have sound or animations that pop up. Click them, and they’ll interact. The app makes the book magical. 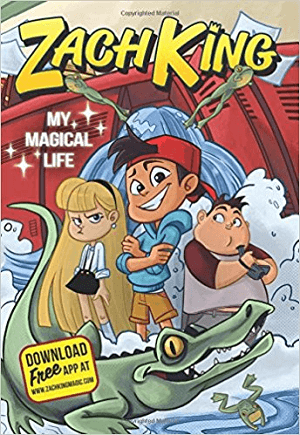 The book is a story about a fictional young Zach King, although the book uses elements of his real life. For instance, in the magical community, all the kids are home-schooled. They find out Zach isn’t magical and his parents sent him to public school. (Real Zach was sent to public school in seventh grade, and he hated it.) In middle school, fictional Zach figures out he has magical abilities and everything’s going wrong. It’s fun. Around the time Zach was pitching the book to publishers, he realized he couldn’t explain the augmented reality component. The book’s app wasn’t built yet because doing it was expensive. The next week, Pokémon Go came out and changed the way he could pitch. The timing was perfect. Listen to the show to discover how my daughters feel about Zach’s book. For a contest, thousands of kids submitted a magic video in Zach’s style. In their submissions, they jumped through a car or a closet or whatever, doing these magic tricks. Zach and his team picked five winners. Then the book illustrator used photos to create an image of each winner, which also appeared in the book. However, because so many kids submitted videos, Zach and his team realized having only five winners wasn’t quite enough. Because the app can be updated anytime, one idea is a contest where those videos can appear (with permission) in a section of the app. Zach says that feature hasn’t been released yet. The app has also been a great tool for previewing the second book. When someone scans the end of book one, they’ll see book two pop up. They can unlock it and get a sneak peek. These little app updates keep book one’s audience excited about the ongoing series. The app makes Zach’s book interactive. I ask whether Zach used live video on Facebook or Instagram. Zach says that during the book launch, a live broadcast on live.ly (a partner to musical.ly) was among the most successful. The live.ly app audience is very young, which is perfect for the book. When Zach went on live.ly for the book launch, he had around 150,000 concurrent viewers. During that live broadcast, Zach explained that buying the book now would help the book’s longevity, just like initial box office sales help a movie. 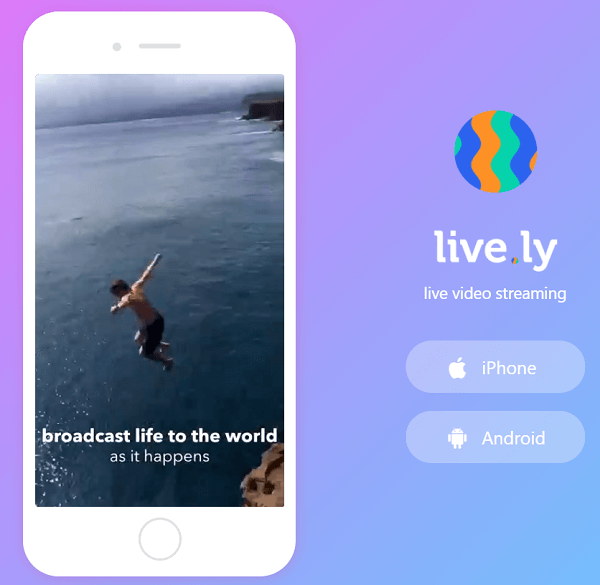 After checking the book’s Amazon ranking a few hours after the live broadcast, Zach and his team realized live.ly might be their number-one way to reach the book’s audience. Zach discovered musical.ly a few years ago because he noticed what apps kids use to take pictures with him. For a while, kids used the camera app. Then he saw them move from Instagram, to Snapchat, to musical.ly. 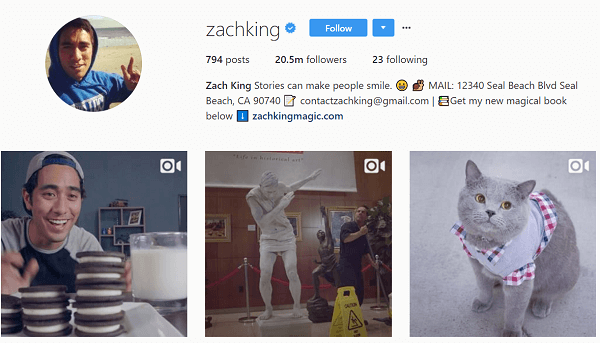 Kids told Zach they’d love to see his videos on musical.ly, and within 2 months, he gained a million followers organically and now has nine million followers. Because musical.ly is partnered with live.ly, Zach’s musical.ly followers can watch his live.ly broadcasts. Musical.ly allows you to make a music video easily. It records you lip-syncing a song and then plays your recording back in the musical.ly format. You can edit the video if you want. Users can give money to their favorite creators via stickers worth $.01, $.10, or $1.00. Zach did a book launch broadcast on live.ly. Zach did a lot of Instagram stories to promote the book because his main audience is there. You can add a link to a story, which is super-beneficial, and the conversion rate has been really good. In the stories, Zach used Instagram drawings such as little arrows and stickers to encourage people to swipe. Listen to the show to hear Zach demonstrate how he encouraged his live broadcast audience to buy his book. 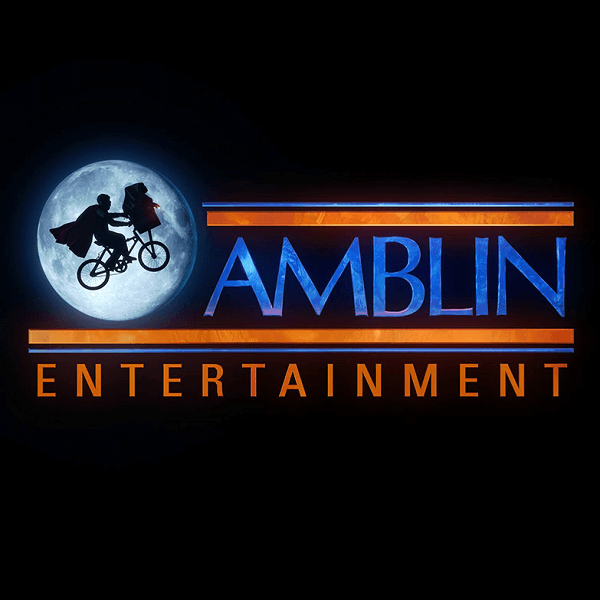 Zach has a movie option with Steven Spielberg’s Amblin Entertainment. An option is when a production company or a studio will reach out and say they want the rights to your story for X amount of time. In that time, they figure out how to make a movie or at least get into what they call production beyond set and filming. As Zach was in the process of signing with HarperCollins, CAA, without even telling him, shopped movie rights around Hollywood. Spielberg’s company called and said he wanted to do a deal for book one and figure out if they could turn it into a movie. The rights deal was done before the book was even published. Essentially, Amblin has 18 months to turn the book into a movie, and if they don’t, the rights go back to Zach. Then he can consider another rights deal or self-produce the movie. Not bad for someone who started out as a film major who didn’t get in the first year he applied. Amblin Entertainment optioned the rights to Zach’s book. To any creative person who may have been rejected, Zach says there’s no excuse for not doing what you want in this day and age. If you want to make films, you have all of the tools. You literally can invest just a couple of thousand dollars into great film gear and have what you need. He encourages creators to watch what inspires them. Right now, Zach is really inspired by Alfred Hitchcock and is studying his shots frame by frame. He also recently studied Charlie Chaplin’s old stuff for hours to learn the style. You have to dive in and invest your time. Listen to the show to learn more about how movie rights work. SwipeFile.io has compiled and organized examples online for you, including categories like before-and-afters, copywriting, explainer videos, and headlines. It’s a neat little repository of snapshots from a bunch of different sites. Tim Ferriss’ About page is one of the many examples on SwipeFile.io. Listen to the show to learn more and let us know how SwipeFile.io works for you. Watch Zach’s videos on YouTube. Read Zach King: My Magical Life and get the app. Follow Zach on Instagram and Facebook. Explore Final Cut Pro and watch videos on Zach’s FinalCutKing YouTube channel. Learn more about Charlie Chaplin, Georges Méliès, and Alfred Hitchcock. Check out Zach and Rachel King on The Amazing Race. Learn about live.ly and musical.ly. What do you think? What are your thoughts on Zach King’s story? Please leave your comments below.